What’s the Average Cost to Replace a Roof? Did you know that a new roof can bring $12,000 in new home value? In addition to equity, a new roof will make your home more durable protect everyone who lives inside. Not to mention the fact that a new roof flat out looks great. So how do you go getting a new roof? First of all, you’ll need to learn the cost to replace a roof. Read below to learn more these cost factors how they come into play when you’re looking to buy your next roof. 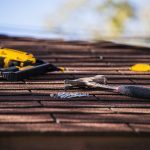 When you’re looking to replace your roof, understanding the type that you want is a huge factor. There are a lot of roofing options that you’ll be able to choose from. Asphalt shingle roofs are great because they are eco-friendly and make your home more energy efficient. As a result, your utility bills will decrease. You need to ask a residential roofing contractor for recommendations on asphalt shingles because the climate of your area affects its efficiency. Areas that experience extreme temperature fluctuations might wear down your asphalt shingles prematurely. Fiberglass shingles are lightweight and fire resistant. They provide great protection if you live somewhere that experiences a lot of sunshine. You’ll also want to consider tile roofing shingles. Tile roofing is pleasing to the eye — especially if you get a nice Mediterranean design. They also last longer and will protect your property. Once you figure out the type of materials you want, it dictates the price that you pay. An asphalt roof can range anywhere between approximately $2000 and $8000. Fiberglass roofs can cost between approximately $4000 and $8000. Tile roofing can cost between $10,000 and $14,000. Start with the materials and you’ll understand the cost to replace a roof. Your preference plays a huge role in the cost to replace a roof. Think your needs decide what you can do with what you can do without. For example, if your roof is always leaking, you probably just need something durable efficient. If you’re looking to flip your property or rent it out, you’ll need a stylish roof option. Taking an assessment of your needs upfront guides you during your roof replacement. Once you understand what you need, your geographic plays a role. For instance, you can get a new roof in California for as little as $5000. When you understand what you need, you’ll be more knowledgeable and in control. Aside from materials and personal preferences, there are price factors that affect the cost to replace a roof. A roofing contractor will take measurements of your property to figure out the size of the roof you need. 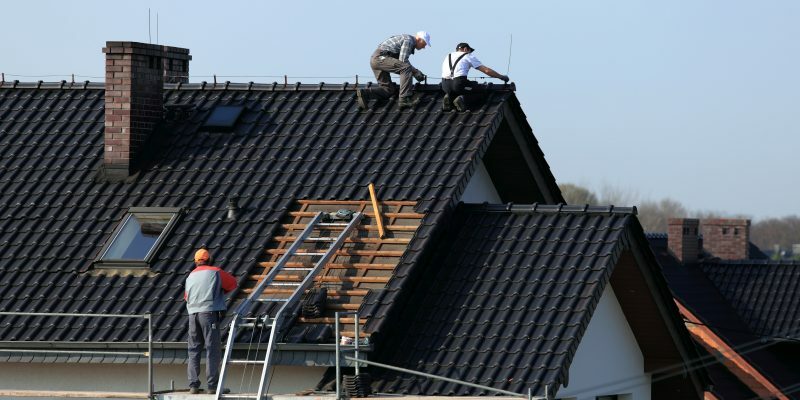 Many roofing contractors charge by the square foot. They will provide you an estimate based on square footage and give you the option to sign off on it before having them install the roof. Like any industry, roofing contractors get hit with lots of during certain peak periods. 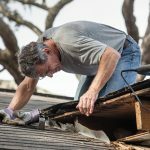 Roofers become busy during hurricane season because homeowners need storm damage repair. During storm season, roofing pros fix things like broken shingles, dented gutters, broken siding. 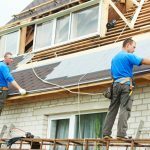 If you’re competing for the time labor of a roofing contractor during the peak season, it’s likely that the price will go up. Plan your new roof installation in advance so that you’re not paying too much money. Your roofing contractor will give you an estimate based on materials labor. If your roof installation is difficult, you can expect a costlier estimate. For instance, if your roof is a unique shape or height, access is a bit more difficult. The roofing contractors will need to make provisions for this difficult access the price will go up as a result. A roofer will need the space to load use all of their equipment in order to handle your installation. Whenever you get a new roof installation, be certain that you also purchase a warranty. A roofing warranty allows you to protect the new installation to make your money stretch further. This warranty lets you get the best years out of the roof and helps you get repairs and maintenance as needed. The warranty definitely affects the cost to replace a roof, so ask the roofing contractor in advance what warranty options they can provide for you. This way, you will find the warranty that is cost-effective. Never lose sight of the fact that you are in the driver’s seat when choosing a roofing contractor. The best way to have control over the cost to replace a roof is to get as many estimates as you can. When you plan your roof installation in advance, you have time to get 5 to 10 estimates and compare them accordingly. 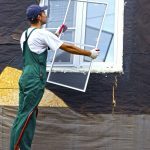 By getting this many estimates, you can around ask different roofers if they will give you a better deal. You’ll also find that certain roofers will have promotions discounts during the year that will give you the best price possible. When buying a roof, ask the roofing contractors if they can give you a residential roof repair plan that keeps the roof at its best. The best way to get top-notch roof installation at a great price is to leave the work to us. At Davis Contracting, we have the best roofers will give you a deal that is worth your while. We’ve been in for years can tackle any installation that you need. Do yourself a favor contact us for more information.